Submitted by Joel Harris on Thu, 2018-07-12 10:47. Register for your free place at these knowledge sharing seminars for therapists and healthcare professionals. We know that prescribing seating and mobility products can be a daunting process at times. When dealing with clients with complex postural needs, delivering the best solution to meet clients needs, goals and expectations can bring unnecessary anxiety. With this session, we intend to allow professionals the opportunity to enhance their clinical reasoning skills in determining the optimal seating and mobility requirements for their clients. Sharing knowledge, problem solving strategies and analysing real case studies have been proven to build confidence. With that in mind, during this hands-on interactive session, both presenters will cover concepts such as client assessment; pressure management and postural control; set up and functionality of several mobility frames as well as primary and secondary support surfaces. At the end of the day, therapists will be provided with a framework for putting the knowledge presented into clinical practice immediately. Workshops are relevant for therapists with any credential level, however, we do position this session on an intermediate level, meaning that topics covered during the session, including case studies analysis, will be focused on clients with more complex postural needs. A fantastic opportunity to hear from international presenters with decades of clinical experience. Don’t miss your chance to further your clinical knowledge for free! Trained as a Physical Therapist in the United States, Amy has over 20 years’ experience working with the adult and pediatric neurologic populations, with specialties in the treatment of spinal cord injury, and evaluation and provision of assistive technology for clients with physical challenges. She was the director of the Seating and Mobility Clinic in Boston, MA USA and provided consultation services to the United Cerebral Palsy Foundation. Amy focuses on providing sound solutions that create positive results, even in challenging environments. She consistently implements innovative ideas focused on improving the lives of people with disabilities. She recently spearheaded foundation of Australia’s chapter of GoBabyGo, a charitable organization dedicated to early mobility for very young children. Joana Santiago completed her training in Occupational Therapy in Portugal in 2004. She is passionate about Seating and Positioning and understands how comprehensive postural management can have a strong influence on functionality, health and the ability to lead a positive lifestyle. 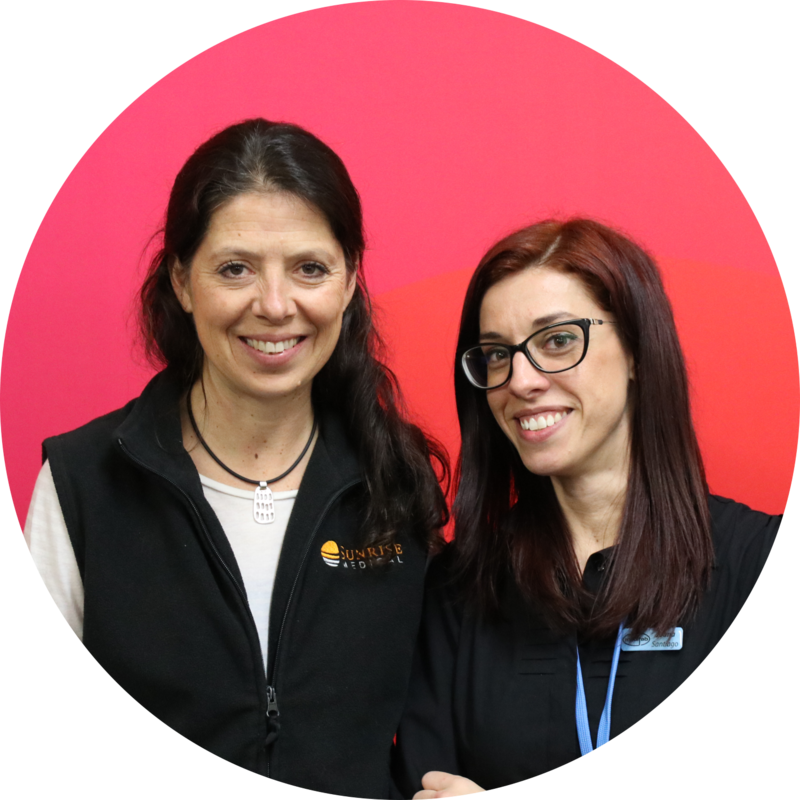 Joana’s initial clinical experience enabled her to work closely with a diverse range of clients including those affected with neurological and traumatic injuries. 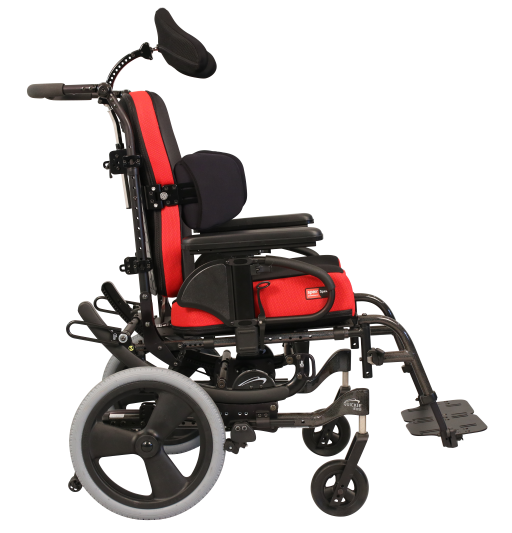 Joana also has extensive experience working for a European supply company, assessing and supplying a wide range of Assistive Technology including aids for daily living, mobility, complex seating and positioning equipment. With a hands on and flexible approach, Joana takes pride in her ability to reach good clinical outcomes by considering the individual, cultural and social needs of those she works with. Over the past 10 years Joana has worked within the industry in 5 different countries around the world and is excited to now be based in Australia as a Clinical Educator for Medifab, where she is able to have a positive influence on the development and supply of their extensive range of products. Joana has presented internationally, including at the European Seating Symposium, Oceania Seating Symposium, Asia-Pacific OT Congress and Canadian Seating and Mobility Conference and throughout Australia at in-services to seating clinics, ATSA Independent Living Expo, Assistive Technology Conference of Queensland (ATQ) and Australian Assistive Technology Conference (ARATA). Register now for your nearest venue! Auckland, Hamilton, Wellington, Christchurch, or Dunedin.